Around 3,000 people require resettlement to enable the project to go ahead, most of them from four villages in Hom District, Xaysomboun Province. The land and houses of over 380 households in these villages will be inundated by the project’s main reservoir. In addition the hamlet of Hatsaykham in Bolikhan District of Bolikhamxay will lose to the re-regulating reservoir, and would also be greatly disturbed by project construction work if people remained in their current location. 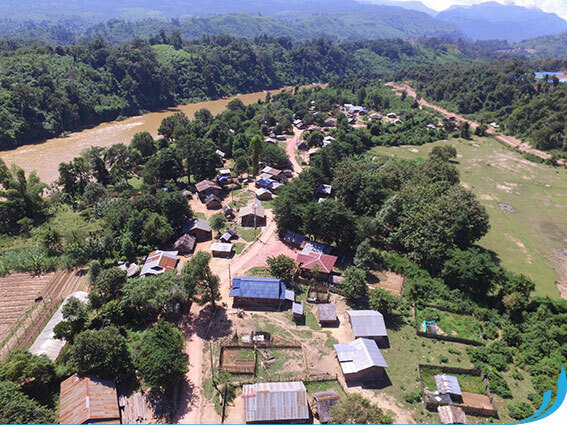 After long and detailed consultations with the affected communities and stakeholders, and after examining several alternatives, the Lao Government and NNP1 selected the Houaysoup area as the location for the Nam Ngiep 1 resettlement site. Villagers have the right to move to Houaysoup and to benefit from new infrastructure, social services and livelihood programs, or to choose a cash compensation option and move to another location. Houaysoup offers a 6,000-hectare area close to the Ngiep River and currently free of other residents. The site will be connected to local villages and to the main road to Pakxan and offers both land for agricultural development and potential for commercial business. Employment opportunities at the nearby dam site and construction camps will be available during the project construction phase. Resettlement is expected to begin in 2015 with Hatsaykham residents moving first. The four villages in Hom District, Houaypamom, Sopphuane, Namyouak and Sopyouak will follow in 2016-17. Environmental and social programs are being put in place to protect resettled families from the disadvantages of the construction sites. The nearby villages of Hat Gniun and Thahuea have agreed to be “host” communities for the resettlement area. These villagers will share some local natural resources with the new residents and will be affected by the nearby construction site. In return, they will receive benefits from the resettlement process including improved infrastructure and livelihoods programs.